This beautiful grade-II listed building sits proudly on the ridge of the hill watching over the Windmill, Park Wood and Bidston Village. It is visible from both Wales and Liverpool. 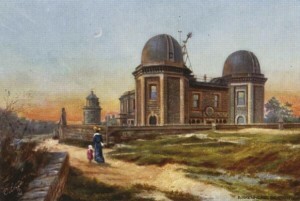 The Observatory was built in 1866 when Liverpool Observatory had to relocate due to the expansion of Waterloo Docks. The building was made using the stone mined during the creation of the cellars, the deepest of which (36 feet or 10.97 meters) maintains a constant cool temperature. Over the last 140 years the Observatory has undertaken a diversity of tasks, many of ground-breaking importance. At the turn of 1929, the Observatory and the Tidal Institute were amalgamated. Under the direction of Joseph Proudman, Arthur Doodson became the leading authority on tidal predictions. 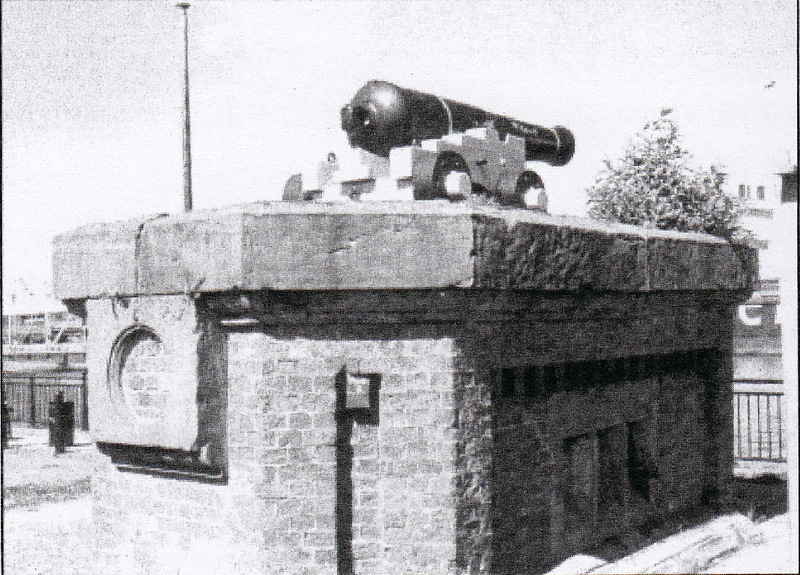 Bidston Observatory was deemed of national importance during the Second World War and predicted the tides for the D-Day landings amongst other things. In 1969, the telescopes housed in the observatory, which were previously used to watch planetary bodies in order to calculate the exact time, were donated to Liverpool museum. 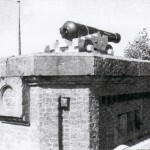 The exact time was needed for nautical navigation and was transferred to ships in the dock by the firing of the one o’clock gun; the gun was fired for the last time on the 18th of July 1969. 1969 was also the year that the Proudman Oceanographic Laboratory became an independent institute under NERC. The Joseph Proudman Building was built during the 1970s to accommodate the Proudman Oceanographic Laboratory’s growing staff and the new computer mainframe. It was formally opened in 1979, and named in honour of Joseph Proudman (1888-1975), one of the directors. This forbidding example of cold-war architecture has been compared to an ocean liner beached on the hill. After a failed attempt to have the building Grade-II listed, the demolition of the building commenced in November, 2012. In 2004-5, the Proudman Oceanographic Laboratory relocated to a new building at the University of Liverpool. It is now part of the National Oceanography Centre. Bidston Observatory was sold to a developer in 2015. My sister EUNICE MURRELL (nee HEATH) worked at Bidston Observatory for many years and I know she had a lot of friends there. I am wondering if, through your site, it may be possible to contact anyof her past friends. Eunice passed away last week – 31st May – at home. If you know of any others who worked there maybe you would be so kind as to pass on the message. No funeral date has yet been set but the Co-operative Funeral Service on 0151-606 1369 will be able to provide details as they become available. I’m sorry to hear of Eunice’s death earlier this year. I was a colleague and friend although not especially close but I well remember her from my early days working at Bidston in 1976 till her retirement through ill health (I can’t remember which year that was). I don’t know how many of her ex-colleagues know but I will mention to those with whom I’m still in touch. It’s tragic that I have only learned of Eunice’s death whilst wandering through this site nearly two years after the fact. I shared an office with her during the 1980s. A real character with a true passion for horses. One point of factual correction about the Josepth Proudman Building. I believe it was opened in 1975 and I went to work there in 1976, however it was not named until 1987 when a new Director, Brian McCartney, took over and we became the Proudman Oceanographic Laboratory. About 20 years ago, when I was investigating sea levels for a client, I visited the Proudman offices at Bidston. I remember that there was an elaborate mechanical tide calculator displayed, dating from the 19th century. May I ask how I may obtain details of this, which must rank as one of the earliest computers? Where is it now, and can it be viewed? Any information would be much appreciated. Over the years, several tide prediction machines were used at Bidston Observatory. Some of them are now in the care of National Museums Liverpool. I understand that the National Oceanography Centre (Liverpool) and the Museum are working together to put on an exhibition of tide predicting machines, but I haven’t yet heard when this will open. Hello – I have just found your website. I had the privilege of attending Eunice Murrell’s funeral together with three of her former colleagues at the observatory. Audrey Barrow ( former receptionist at the observatory) knew Eunice very well and would have been at the funeral had she known about it in time. By the way, I wrote a history of the observatory (published in 2006) called Bidston Observatory – The Place and the People. You may have read it. We highly recommend Joyce Scoffield’s book: “Bidston Observatory – The Place and the People”. It contains useful information on the Bidston Lighthouse and Signals too. You can still buy it on Amazon. Thank you for attending my aunt Eunice’s funeral. It was very comforting to hear that you and other colleagues had been there. I worked at Bidston Observatory from 1960 to 1965 as a University Technician. Along with ten or more other young women I worked on the Doodson Lege and Lege tide predicting machines and did the meteorological observations. 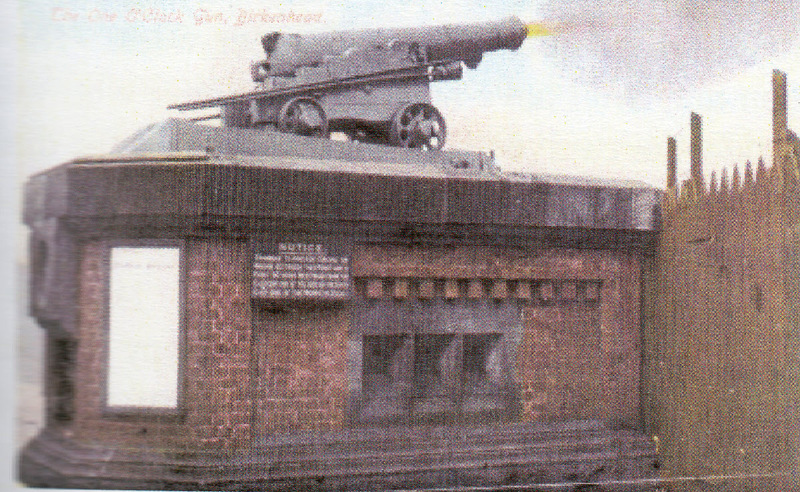 We also fired the one o’clock gun (sent time signals to a man at the Alfred Dock who actually fired it). There was a great atmosphere of fellowship and I have several photos of us sunbathing on the roof, draped around the canon, and sitting on the step at lunch hour. I am Eunice Murrell’s (nee Heath) niece would any of your photo’s include her. I would love to see them. Hi could anyone tell me if you can still visit the observatory if so what are the times,also do they still have the telescope thank you . The Observatory is privately owned and not open to the public. The telescopes were moved out long since. Ok thank you , could you tell me the nearest observatory or anything to do with astronomy I could visit thank you . There is a Liverpool University astronomical society, but I don’t have a contact. Jodrell Bank might be worth a try. Roy Lowry (Bidston Observatory 1981-2004). I recently visited Bidston Hill and was shocked to see the poor state of the observatory and its surroundings. The building appears to be semi-derelict, part of the wall fronting the wood has disappeared, and the railings in front of the observatory have been removed. Is North Wirral such a poor area that the acquisition and proper maintenance of this iconic building cannot be afforded? Many years ago the fountain worked and the area near it was covered in heather. Now the fountain is rusty and incomplete and grass has replaced the heather. Is North Wirral such a poor area that the acquisition and maintenance of this iconic building cannot be afforded? I wonder how much per head of population it would cost. I worked at the observatory from 1992 to 2004 when all the staff relocated to the University of Liverpool campus. Readers may be interested to know that two of the tide predicting machines that once resided in Bidston and were donated to the museum of Liverpool many years ago have now been fully refurbished and, as of August 2015, have found a new home in the National Oceanography Centre (NOC) in Liverpool. One of them is the machine that was responsible for computing the tides for the D-day landings during WW2. The other is the larger Doodson-Lege machine that, if you ever attended a Bidston Open Day, may remember sitting in the reception area. Both are magnificent examples of precision engineering. Although not permanently open to the public we do occasionally have visitors come to see them. So may be worth contacting the NOC. I’d be more than happy to spend 10 minutes to explain how it all works too. I am student of Interior Architecture and Design from Leeds. I am basing my final year project on Bidston Observatory, redesigning it into a museum and astronomy workshop. I’ve found the history of this site extremely fascinating. I am so saddened to see this has been sold to redevelop as flats!! I have realised how many people is so unaware of the amount of scientific work has been done here, and how precious the hill is. Thanks to Joyce Scoffield book, and hours of research online and archives all over Liverpool, I am putting together as much information as possible about this place, including, my hypothetical resurrective design for the building. I was wondering if anyone might have any old pictures of the interior of the observatory?? Any information provided would be included in my report and credited of course. Also, does anyone here know if there was any connection between the air raid shelter and the observatory or the lighthouse? Despite rumours to the contrary, there are no tunnels connecting the Observatory or Lighthouse to the air raid shelters, which are some distance to the north. I have recently took an interest in The Observatory after a ramble through Bidston Hill and was wondering if can anyone help with any details regarding the name of The Observatory’s original architect who was involved in it’s design or the architecture firm who oversaw its original construction in 1866? The architect and engineer was George Fosbery Lyster. 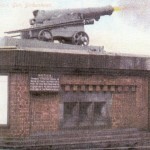 He was Engineer-in-Chief to the Mersey Docks and Harbour Board, which handled all aspects of the construction. Lyster succeeded Jesse Hartley and J.B. Hartley in the role of MDHB’s Engineer-in-Chief, and was succeeded in turn by his own son, Anthony George Lyster. George Fosbery Lyster also built Bidston Lighthouse, Great Orme’s Head Lighthouse, Hoylake Upper Lighthouse and re-modelled Point Lynas Lighthouse, not to mention hundreds of acres of docks in Liverpool and Birkenhead. See also this contemporary account of the construction of Bidston Observatory. Thank you, for your time, prompt reply and for directing me towards this wealth of information and history. I am most grateful and appreciative. What can we do to save the observatory? Can the council take the site back into public ownership? Could money be obtained from the Heritage Lottery Fund for this? This magnificent and historic landmark can’t be allowed to go to rack and ruin. It would be wonderful if one day the place could be restored and the telescopes re-installed. I was given a tour of the observatory in 1970 by an old friend (Eric Jones) and saw the 9 inch refractor in place in its dome, as well as the rest of the building. I was later involved in the restoration of the beautiful equatorial mounting of the same telescope while working at Liverpool Museum in 1971. I believe it is still on display at the Museum. Fear not. The future for the Observatory did look grim while it was in the hands of Bidston Observatory Developments Ltd, who neglected it terribly. But it has just been sold to private buyers who plan to operate it as a not-for-profit artists’ research centre, and to incorporate an exhibition space celebrating the Observatory’s proud scientific heritage. I hope to be able to release more information soon. This is excellent news, Stephen. The Liverpool Astronomical Society will look forward to visiting you in the not to distant future. Hi, excuse my ignorance if this question appears obvious!, is the observatory still operational? Is the observatory open to the public? My interest isn’t only recent but reignited by my six year old talking enthusiastically about dwalf planets and solar systems! Educational videos he personally has chose to watch, I have a duty to feed the need??? Hello, the Observatory is now privately owned however, we believe it is currently being developed into a not-for-profit artists’ research centre, and to incorporate an exhibition space celebrating the Observatory’s proud scientific heritage. It now has its own website which you may care to visit for further information.